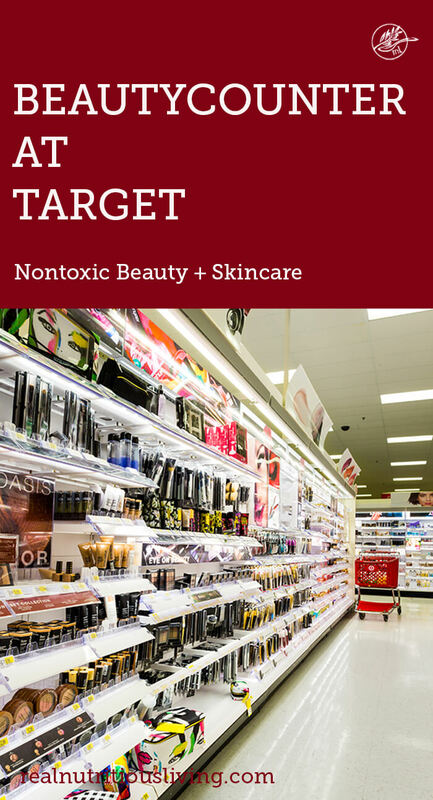 Clean beauty is all the rage these days and you can find more and more safe brands at stores as mainstream as Target! 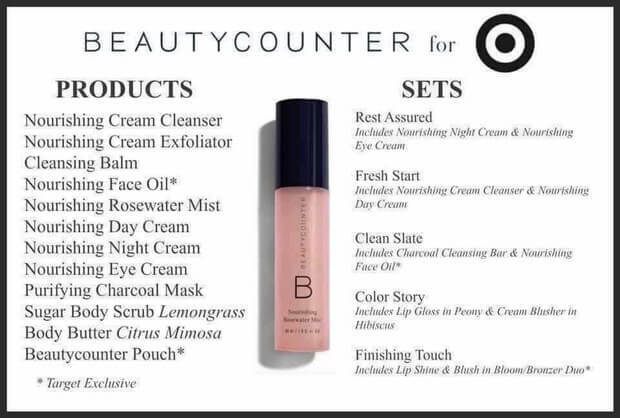 Beautycounter at Target was a fun limited partnership that got people hooked on this safer brand. In this post, I’ll tell you exactly how to get your hands on these safer products. Is Beautycounter sold at Target? Back in September of 2016, Beautycounter had a limited partnership with Target. Unfortunately, it was a limited-edition collaboration, which now means you’ll have to shop online or hit a pop-up shop in Nanctucket or the Hamptons. What Beautycounter products are sold at Target? 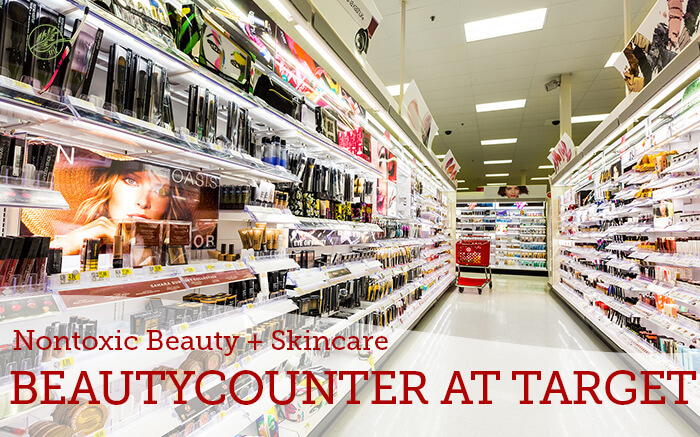 *I’m going to let you in on a little secret….the Beautycounter at Target products were not any cheaper than what you find when shopping directly at Beautycounter’s website. The sizes were just smaller! Sneaky, I know! Can you buy Beautycounter at Target? 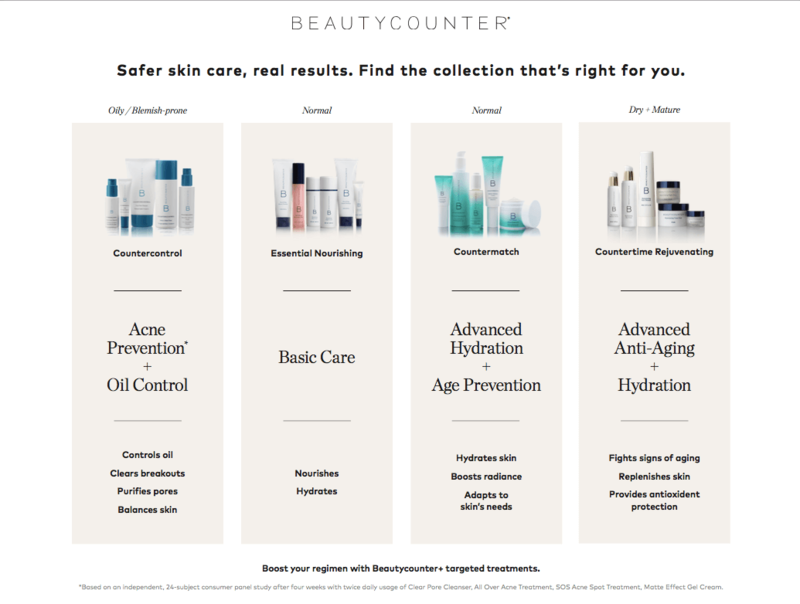 Beautycounter does not currently have an offering at Target so the best way to shop is online at the Beautycounter website. And of course, I would love for you to shop with me as your consultant! And here’s why…it can be daunting to shop online. I love helping my clients pick the perfect products and colors for their skin (as well as send samples and special offers!) If you’re looking to switch to safe and want personal recommendations within your skin needs, goals and budget, simply fill out this short quiz. I will send you a custom skincare or makeup regimen made just for you! I also send my clients pro tips and tutorials on how to use all the products they purchase! I also linked all the products above so you can easily shop by clicking the name above. Some of the products, like the nourishing oil, have been updated so you will notice it links to a slightly different product. When holiday launches, there will be so many amazing (and discounted) sets. I will link to that post once it has arrived! 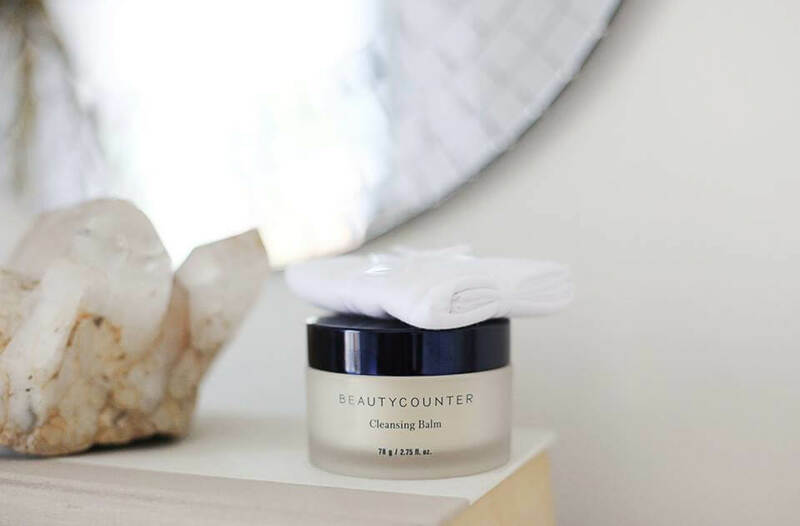 Beautycounter for Target Cleansing Balm? This balm should be called the “Everything Balm.” You can cleanse your face this one, use a dab as a moisturizer, or as an overnight moisturizer/mask. It’s loaded with vitamin C and fruit extract oils to hydrate and work on your skin while you’re wearing it. Great multi-tasking product for travel. I love the tips for its many uses in this video. You can even dot on cheekbones for a cream highlight, what?! This is the one skin product I would take on a deserted island since you can do so much with it. It is also very concentrated so my first jar lasted just over a year! Learn more about the cleaning balm and shop here. Are there new products that may work better for my skin since the Beautycounter at Target partnership? Here is one of my favorite charts to show the best regimen Beautycounter has to offer for your skin. If you prefer more personal makeup and skincare recommendations, simply fill out this short quiz and I will work up a custom plan just for you! How can I save money buying Beautycounter? 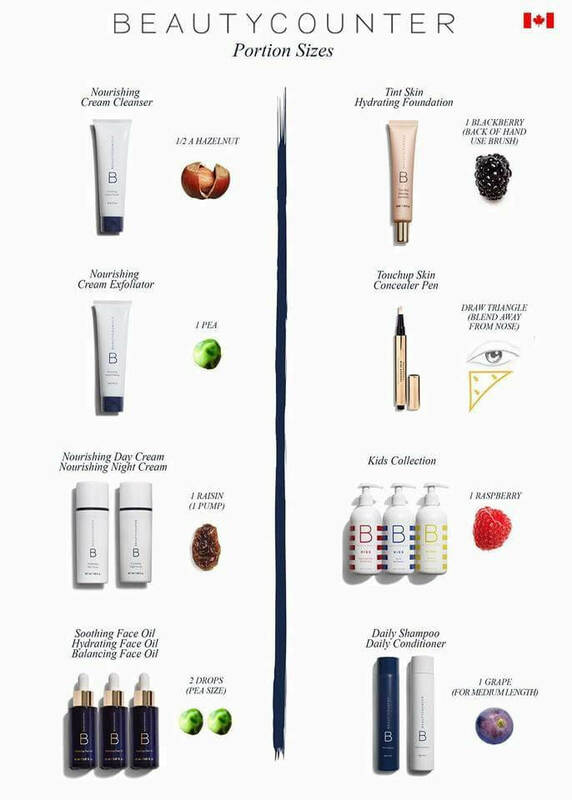 First, Beautycounter products are very concentrated and last a long time! 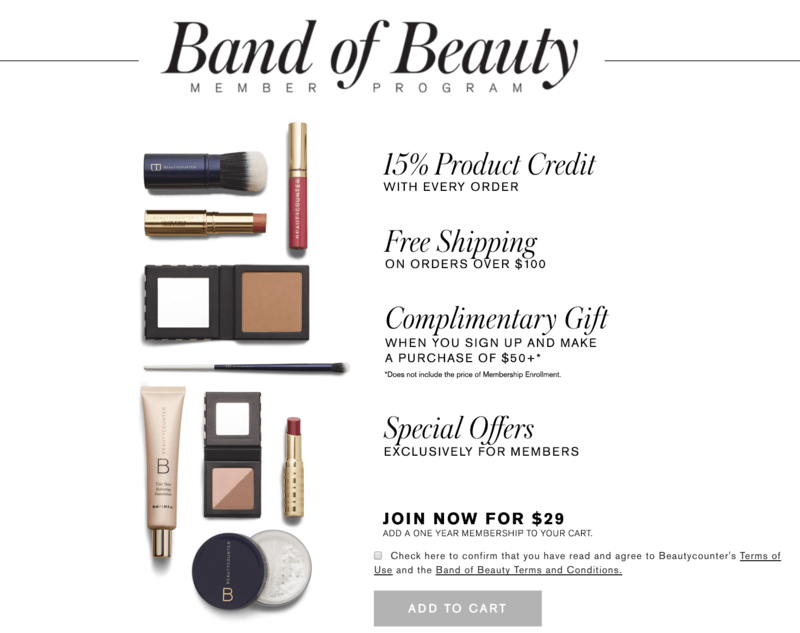 Beautycounter has a great rewards program! 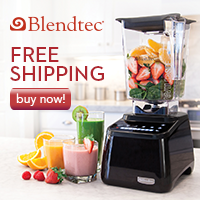 Click here to join and get your free full-size product. Beautycounter at Target is no longer, but that doesn’t mean you can’t get your hands on some safe products! Romantic Velvet Palette is my go-to palate for shadows right now. The colors are so versatile and great for a casual look or a night out! These new powders have been reformulated and the performance compares to my old department store favorites! More at this post. Makeup Remover Wipes are a biodegradable wipe that acts as a cleanser too. No need to rinse afterward. They are super gentle and remove all makeup! These are a must for camping, the gym and for lazy nights! Cleansing Balm like mentioned above, is the bomb! This is a best selling, multi-purpose balm, that will last you forever!! It’s a cleanser (think oil cleansing), makeup remover, overnight mask and so much more!! It leaves your face feeling so clean, yet so soft! Check out this video if you want to learn more! Charcoal Balancing Mask – clay mask that balances the skin by absorbing excess oil, draws out impurities and reduces the size of pores. Perfect for keeping breakouts at bay and skin smooth and healthy. Bonus product (this is one of my favorites, but it is EXCLUDED from the sale): Overnight Resurfacing Peel is a must for everyone!!!!! It works wonders on brown spots, acne, acne scarring, dull skin, dry skin, fine lines, and wrinkles! This has become a favorite and best seller! Check out the 1259 five star reviews on the website if you aren’t sure this is for you!!! I hope you loved this Beautycounter at Target post and will snag up some safer products for yourself soon! I never saw that there! It would be super cool to see more responsible products like this in mainstream stores!! It was so cool to see Beautycounter stuff at Target! What a great company. YES! So great that they were able to go mainstream for a short time. Oh cool! I didn’t know this! I’ll have to check our Target out next time! I wish we were still at Target…you’re stuck with me, if you want to try some goodies! Amen sister- we’re taking it back to the old school! I love that Target took on that partnership. Hopefully, it has a lot more people buying BC! It would be great to see it in the stores at some point again, just to keep exposure up and help to educate a wide audience about non-toxic beauty. So well said Irena! I completely agree! I haven’t been to target for a while now I need to go check it out this weekend! It’s no longer at Target, but let me know if I can help you select some products! So cool that BC is getting out there so much. I love so many of their products. Yes- it’s amazing that green beauty is becoming mainstream! Wow I never knew they were in Target, that’s so awesome! Yes! It was such a fun partnership that helped create some major awareness! It’s great that you cover this topic in such depth. So much more to a healthy lifestyle than what you put in your body, thanks for highlighting this. Thank you! Considering we have no filtration system on our skin (our largest organ) it may be more important.